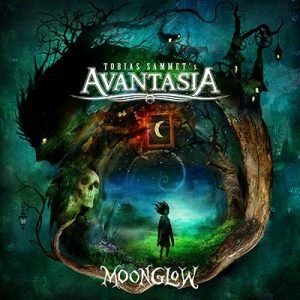 Interview: AVANTASIA’s Tobias Sammet Talks Moonglow & Oz Tour – Spotlight Report "The Best Entertainment Website in Oz"
We had the opportunity to speak with Tobias Sammet, composer of German supergroup metal Opera project Avantasia. We chatted about their upcoming record ‘Moon Glow’, their collaborations with world renowned musicians, and their upcoming world tour, including a stopover in Australia. SR. You guys have a new album coming out soon called ‘Moon Glow’, can you tell me a bit about that? Well, It’s our eighth album, and – I don’t want to blow my own trumpet – I’m really stoked about how great it’s turned out. You can never tell what an album is going to become when you start working on it. I took a lot of time to work on this album, I think it’s very embellished, heartfelt and honest, while intimate and flamboyant at the same time. I’ve got a great line up too, so many wonderfully talented musicians. There is so much going on in this album, it’s very detailed, we’ve even got a Celtic harp in the mix, it has a huge world music vibe. I support the theory ‘more is more’, so I’m very happy with it. SR. You’ve collaborated with a lot of artists on this album, and you’ve previously worked with Alice Cooper, Dee Snider, and members from Scorpion and Kiss. Are there any artists that you’d love to work with, but haven’t had the chance yet? On the previous album I really wanted to work with Meatloaf, because my sound is very inspired by him. Unfortunately, when I contacted him, I was told he’s retired from singing. Bruce Dickinson of Iron Maiden is somebody I’ve been trying to get on a few of my previous albums, but it hasn’t happened yet. SR. You’ve got the second single ‘Moon Glow’, featuring Candice Night (Wife of Ritchie Blackmore of Deep Purple), being released soon, do you have an exact release date for that track? It’s coming out at the end of the month, and it’s a beautiful track. I’d say it reminds me of Mike Oldfield, like a heavy rock song that almost sounds like it could have been written by him. It pretends to be a ballad at the beginning and then it takes off, it’s very powerful and enchanting. It has a special magic to it. SR. Who are your biggest musical influences? I’m really inspired by anything I listen to, but my main influence is in my DNA. I’ve been inspired by artists like Dio, Rainbow, and a lot by Queen. Iron Maiden, Def Leppard, Meatloaf, a lot of eighties rock. I also love world music and classical music, I’m not a connoisseur or anything, I just love how it sounds. SR. You’ve got a lyric video up for your single ‘The Raven Child’, have you got any music videos coming out for this record? Yes, there’s one coming out in about two weeks. There’s a video for ‘Moon Glow’, I haven’t seen it yet but I’ve filmed my parts, and they’re editing in all the dragons and whatnot right now *laughs* I’m excited to see what the videographer come up with. SR. You’re coming to Australia in May and visiting Melbourne and Sydney, is there any particular reason it’s such a brief trip? The thing is, there’s so many people involved in this project, we’re a travelling party of twenty eight people. It makes the whole thing very expensive, and we only have a very limited amount of time, everybody involved has their own life and schedule, it can be tricky to coordinate. We have eight weeks to cover the whole world, we’re only playing one show in most countries. SR. The limited edition album is going to feature a special song called ‘Hearts’, what other special features does the limited edition have? There’s only a limited amount available that includes an art book, with photos of the production process. It’s a double CD, and one of the CDs is an instrumental version, which is really interesting to listen to. It’s a different listening experience. There is also an interview with me, there are beautiful paintings as well that have inspired me. CD sales are dropping these days, and people think it’s not feasible, so we wanted to create something really special that people what to physically possess. It’s a beautiful piece of art, something to collect. I prefer physical CDs to downloads, it just feels more special. 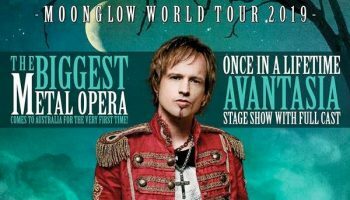 You can see Avantasia live in Melbourne or Sydney from the 12th-14th of May on their first ever Australian tour. Listen out for their new record Moon Glow, coming out February 15th, and keep up to date with the project by following them on social media or via their website.